Another random round-up, where we review Isle of Dogs, Ocean’s 8 and Calibre. Join us and find out what we make of them! I’m not sure there was ever a huge demand to reboot the Rat Pack vehicle Ocean’s 11, but it happened anyway, and by most accounts (I’ve not seen the original) took a bad film and made a good, or at least enjoyable one out of it, inverting the usual paradigm for this sort of thing. Sadly, the entirely unnecessary Ocean’s 12 was so awful that few people bothered to see Ocean’s 13, and the whole idea lay low for decade. So, here we are, with this mainly female led re-reboot, which I’m similarly not sure there’s a huge demand for, but, well, we’ve got it anyway. Sandra Bullock’s Debbie Ocean is released from gaol after being framed for a crime she did not commit by ex-lover Claude Becker (Richard Armitage). I mean, she’d done lots of other crimes, sure, but not that one. But she’s not been idle in prison, and has plans for a daring heist that she immediately begins to enact. She enlists the help of her old partner in crime, Cate Blanchett’s Lou, with a plan to steal a $150 million Cartier necklace during the Met Gala. A caper of this audacity will need a number of accomplices, witting and unwitting both, such as Rihanna’s Nine Ball, a hacker, Mindy Kaling’s Amita, a jeweller, Awkwafina’s Constance, a pickpocket, Sarah Paulson’s Tammy, a fence, Anne Hathaway’s Daphne, an A-list actor, and Helena Bonham Carter’s Rose, a stylist. There’s little value in rehashing much more of the general idea than that – the fun of these sorts of movies is in uncovering the methods of it as it goes along, and I’m sure I’m not revealing too much in saying that it follows the path laid down by the previous Ocean’s films – plans within plans, wheels within wheels, reveals within reveals, that sort of thing. The problem is that it’s kinda hard to care about plans, wheels, or reveals in a script that’s, well, serviceable, is about as positive I can be about it. I don’t think it’s outright bad, and it’s certainly more enjoyable than I recall Ocean’s 12 being, but it’s all very ordinary. While I like most of the supporting cast, the two leads I’m in general less enamoured with than what we laughingly call reality are, and I didn’t see any chemistry between Bullock and Blanchett at all in this. It’s trying its best to have the same bouncy, punchy dialogue that Clooney and Pitt shared, but it’s not quite nailing it, and again, it’s not disastrously bad, it’s just entirely ordinary. As mentioned, Kaling, Hathaway, and Bonham Carter in particular manage to inject a bit more life into proceedings and it stumbles on more or less amiably enough to the end without ruffling too many feathers. It even survives dropping James Corden into the final act, a remarkable feat indeed these days. Now, like most of these films, the actual final reveal of where the Kansas City Shuffle ends up holds up to precisely zero scrutiny, and if nothing else requires a jailbird to have a surprising level of insider information about years distant Metropolitan Museum of Art exhibition schedules, but that’s only going to come to light if you think about the film afterwards, and it’s very much the sort of film that invites no scrutiny whatsoever on leaving the cinema. Indeed, I’ve largely forgotten what it was about already, and I only saw it last week. It’s pulled in quite a decent box office, and I’m not sure how I feel about that. I’ve seen much better films do worse, and much worse films do better, so I suppose I’ll remain neutral. Does it need a sequel? No, but when’s that ever stopped anyone? And while this isn’t much more than a slickly produced slice of competency, I wouldn’t automatically dismiss the idea of watching another one of them. 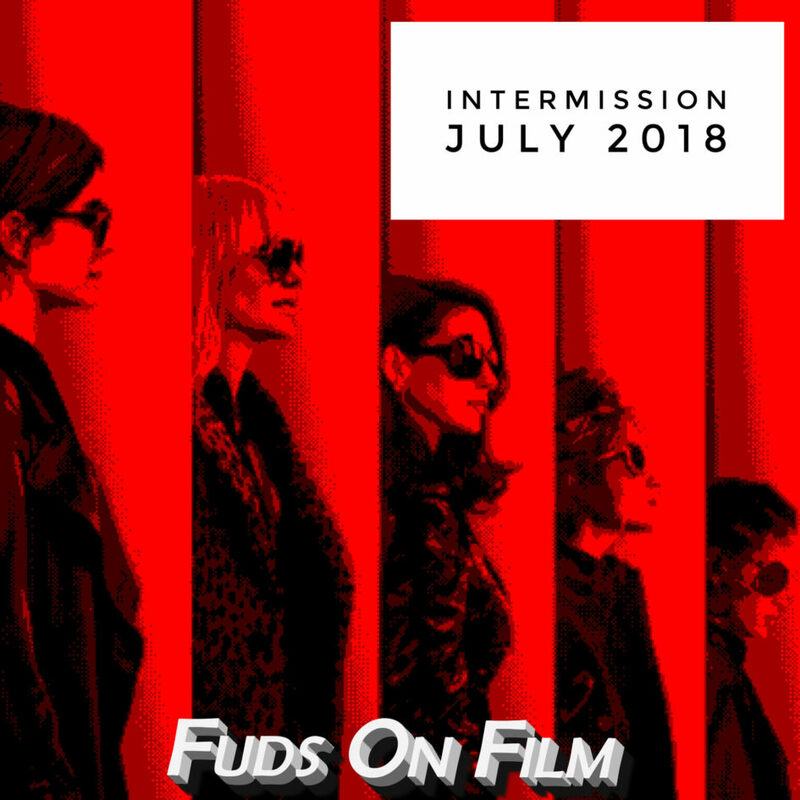 Ocean’s 8 gets an official Fuds On Film score of Fine/10. A hunting trip to the Scottish Highlands goes disastrously wrong for two city types, who find themselves increasingly embroiled in schemes to cover up what happened and save them from the locals’ vengeance. Sounds like a horror, but it’s an effective thriller that’s well worth watching. In what might well be the most Wes Anderson-y of Wes Anderson’s films, this stop-motion charmer sees a young ward try to recover his banished canine companion against a background of anti-dog conspiracy and corruption. It’s often very beautiful, technically impressive, drily humorous and just a lovely thing indeed.